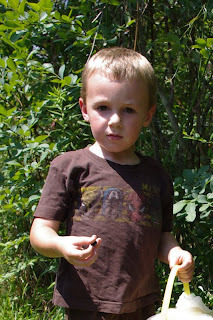 Just over a week ago, the kids and I went blueberry picking. It's a nice little family farm that is organically run and you can't beat their prices, $3 per pound. The Chmielewski’s Blueberry Farm is fantastic. This is the second year I have gone there. Last year I had Colton strapped to my chest and Maben stuffed his face with as many ripe blueberries as he could. 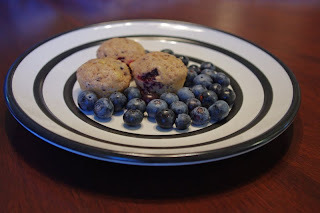 This year, Maben picked about 1/3 of a pound and Colton stuffed his face with as many blueberries as he could...ripe or not (we both paid for that for a few days!). 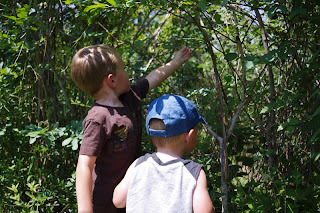 Maben showing Colton how to pick blueberries. showing him how to pick the purple and blue ones. We had a lot of fun, even though it has been nothing but super hot here in Texas. 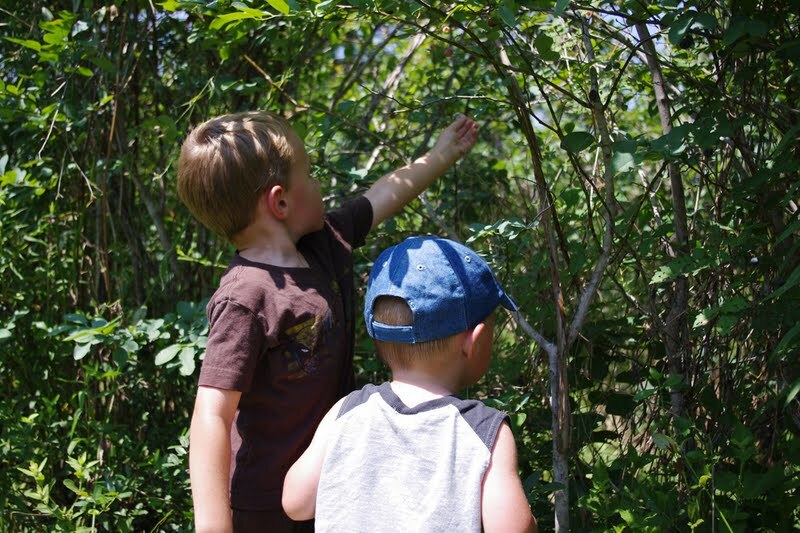 The boys held out, I bumped into a great friend of mine and we brought home a lot of blueberries. We got just shy of 3 lbs. If you are wondering what that looks like, it will fill a kids sand pail (like the kind you find at the dollar store). So what do you do with all those blueberries, eat them and bake with them of course! I rinsed them first (and busted out my camera to try out some new techniques). I think I did an excellent job figuring out flash in low light with a fast shutter speed. What do you think? 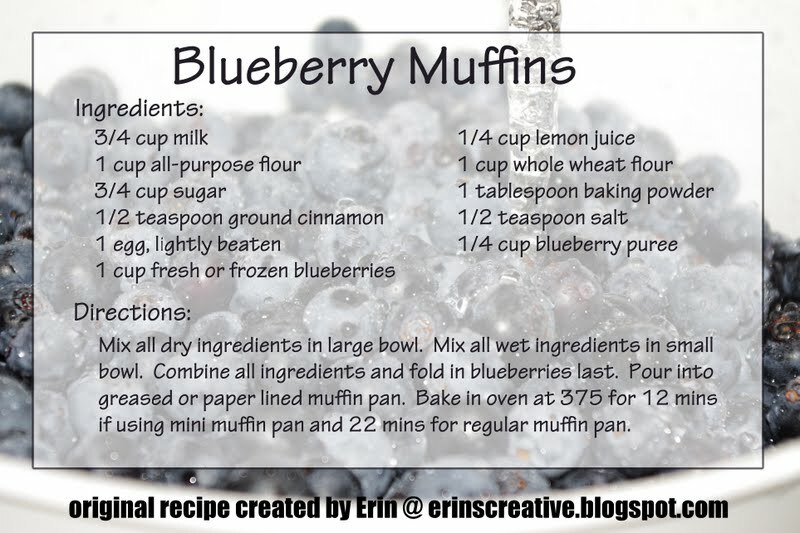 The first thing I made with my blueberries were some muffins. 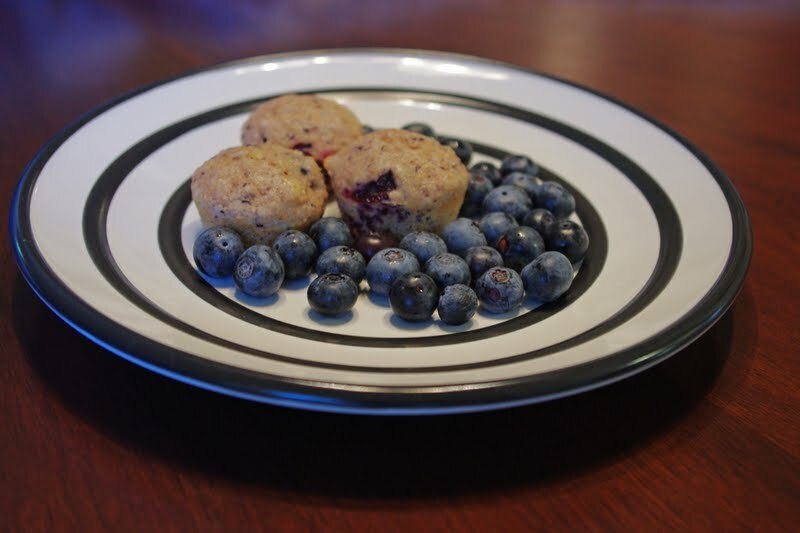 I have been tweaking recipes a lot in order to make them healthier and lower in fat. This recipe has a little zing with the added lemon, but it's delicious and refreshing. The batch made 24 mini muffins and 7 regular sized muffins and I ended up eating way too many. Don't they look delicious? And now...I want to make more. Welcome to the Dirty 30! A Trip to the ER or A Fun Night Out?